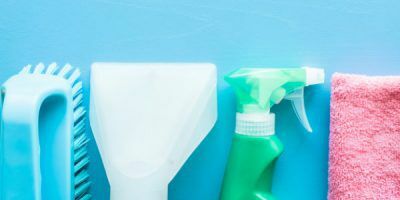 Keeping our houses and belongings clean and ship shape is often such a time consuming process, and this can make it tempting to avoid many of the more intensive cleaning tasks around the home that need addressing periodically. With this in mind, we have collated a list of our favourite cleaning hacks that will enable you to get the job done in minimal time with minimal elbow grease! Pet hair has an incredible knack of sticking to absolutely everything in the home apart from the pets! This can leave an annoying build up of pet hair on fabrics, particularly rugs, carpets and any other upholstery that your pets are prone to sleeping on. The vacuum cleaner will remove a large percentage of this build up; however, some pet hair will invariably remain. Use a rubber squeegee, pulling it across any problem areas to pick up your pets hair quickly and effectively, it grips to the hair like magic! White distilled vinegar and kitchen towels will have your glasses looking bright and new in no time, removing the build up of protein that occurs in the dishwasher leaving them with an unsightly looking cloudy film. Simply soak the towel in vinegar, rub and rinse with clean running water. Cleaning the oven is perhaps one of the most time consuming and mucky tasks in the kitchen so keeping on top of this appliance and preventing a build up of spills and fats is essential. One handy trick is to line the bottom of the oven with aluminium foil, which will catch spills and keep them off the oven surface. When the foil is dirty, it can be disposed of, leaving the bottom of your oven clean and fresh. A build up of lime scale on your taps will leave them looking dull and grubby, but this is an easy job to tackle with quick results and minimal effort. Simply soak some kitchen towel with distilled white vinegar and give the taps a quick wipe over to remove dirt and smears. Leave the soaked towel wrapped around any areas where there is a build up of scale and let the acid in the vinegar do the hard work for you, dissolving the scale whilst you get on with something else! A wooden chopping board should never be submerged in water for washing up as this will cause the board to swell and can potentially cause irreversible damage to any joins in the material. To keep your chopping boards clean and hygienic, wipe down after use with a damp cloth and a squeeze of lemon juice or distilled vinegar. For a deeper clean, take a board scraper, a pinch of rock salt and half a lemon. 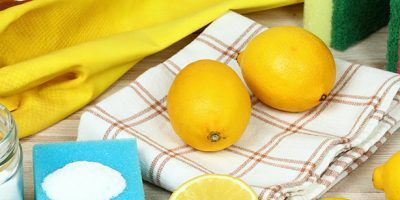 Sprinkle the rock salt over the surface, scrub all over using the lemon and then scrape the surface over to remove all residues and odours, using your board scraper. Make it more convenient to keep bathrooms clean by storing a useful set of cleaning products in each bathroom, allowing you to give the room a quick refresh in between deeper cleans. With the products you need to hand when you need them, quick touch ups to the sink, taps etc. are far easier. 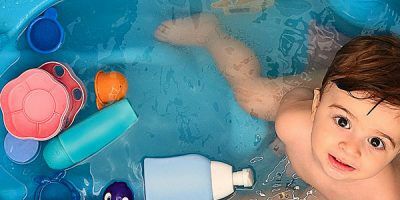 Plastic toys can be freshened quickly and easily in the dishwasher, allowing you to remove the grime and build up of germs that can accumulate over time with minimal effort. Even small plastic pieces such as Lego and small figures can be placed in a lingerie bag allowing you to put them on a wash cycle without losing them in the filter. It is a good idea to clean these items periodically, particularly as young children tend to place toys in their mouth so often. Cleaning little and often is the only way to enjoy a clean and tidy house throughout the year, avoiding the need for lengthy deep cleans. If you need an extra set of hands to help you with this aspect of the running of your household, click here for more information.